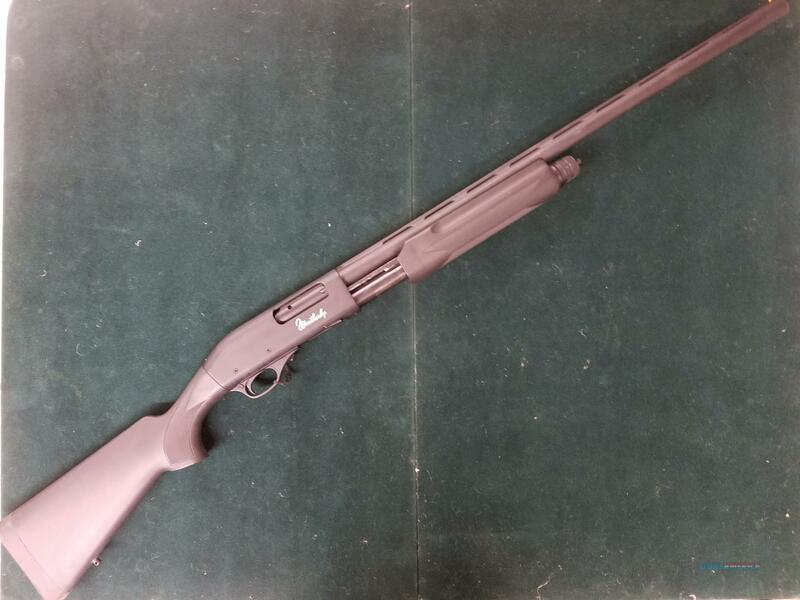 Affordable pump-action hunting shotguns Includes three screw-in choke tubes Vent-rib 28" barrel and brass-bead sight Easy-to-use, lightweight, reliable and affordable pump-action shotguns worthy of bearing the Weatherby name. Each has a 3" chamber and 28" barrel with a heat-dissipating vent rib and sight bead. Matte-black metalwork reduces glare. Brass-bead front sight. Three screw-in chokes included: full, modified and improved-cylinder.